Size of this preview: 800 × 569 pixels. Other resolutions: 320 × 228 pixels | 1,040 × 740 pixels. 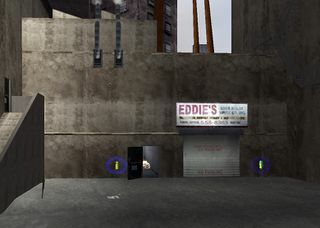 Exterior of the Portland Hideout in Grand Theft Auto III. This is a screenshot of a home from Grand Theft Auto III - a copyrighted video game developed and published by Rockstar Games. This page was last modified on 10 September 2013, at 15:00.